One of my favourite patterns are black and white stripes. 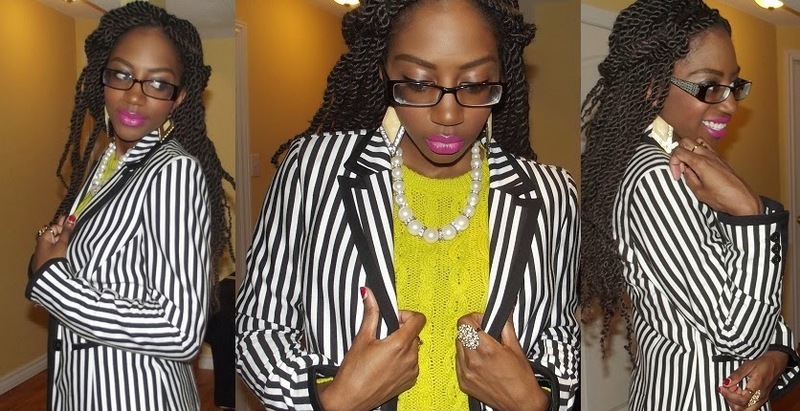 Here I paired a black and white striped blazer with a neon green sweater underneath it to make the whole outfit “pop”. I also tied in a bright pink lipstick (it looks fuchsia in pictures) to add more “pop-age”.